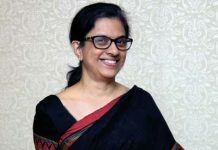 Chennai: The Private Equity Impact study by Venture Intelligence – a leading research firm focussed on Private Company Financials, Transactions and their Valuations in India – under the guidance of Prof. Thillai Rajan, Department of Management Studies, IIT Madras, suggests that companies backed by Venture Capital firms or Private Equity (PE) grow significantly faster compared with those that lack any such funding and also publicly listed companies that comprise market indices like Sensex, Nifty and CNX Midcap. The Private Equity Impact study, first conducted in 2007, measures the impact of PE and VC funds on the Indian economy using quantitative and qualitative methods. 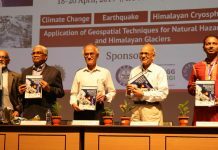 This year, the study was conducted with advice and guidance from Prof. Thillai Rajan A., Department of Management Studies, IIT-Madras. It revisited the theme of comparing PE- and VC-backed companies vis-à-vis those that did not have any PE/VC funding and other indices using quantitative and qualitative methods. 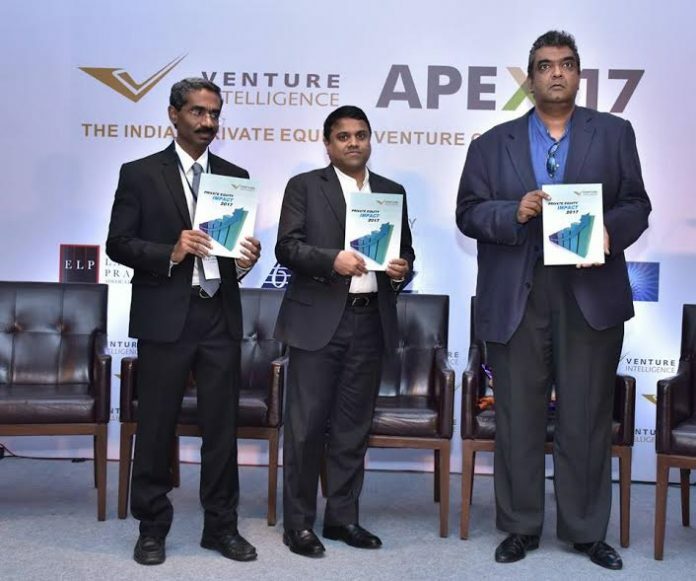 The PE Impact 2017 report was released at Venture Intelligence APEX, the annual conclave of the Indian Private Equity & Venture Capital industry, at Bangalore by Srivatsa Krishna, IAS who has earlier worked with the World Bank’s private sector financing initiative and has researched the PE industry in detail. The first copy of the report was received by Dr. G.S.K Velu, Founder of Trivitron Group, who has successfully raised and leveraged PE capital across several healthcare ventures. • The primary markets are characterized by significant volatility. PE-VC investors do continue to invest even in times even when there is a squeeze in conventional markets, thereby helping the companies to tide over the industry down cycles. As promoters of small-to-mid sized companies typically face limitations in terms of the quantum of equity contribution they can make, PE-VC investors step in to provide the long term funding require to catalyze growth. • The report features case studies of four PE/VC-backed companies – Quess Corp, redBus, Vectus and Equitas Holdings. The entrepreneurs featured in the Case Studies attest the value added by PE-VC investors – beyond merely providing capital. • Founders of start-ups are often not well versed with “once in a lifetime of a company” processes such as IPO, M&A and so on. Since many PE-VC investors have prior experience in the financial services industry as well as in addition to working with other investee companies in their portfolio, they are able to help promoters steer through the complexities. “The PE Impact Study demonstrates how PE and VC firms adopt a long term perspective in their investment decisions. The presence of a PE / VC investor provides a kind of certification which, while broadening the equity base, also helps the investee companies access other sources of funding including debt capital. PE/VC investors also forge active partnerships with their investee companies to improve growth and business strategy, besides opening up new opportunities,” said Prof. Thillai Rajan. “The common thread that emerges from The Study is that PE-VC investment, when chosen and leveraged well, can help companies scale up rapidly and accelerate growth in several ways that add significant value to the Indian Economy,” said Arun Natarajan, CEO of Venture Intelligence. As part of his remarks at The Report launch event, Srivatsa Krishna cautioned the Indian Private Equity industry on the various risks it was facing as also the risks it was opening itself too, some by its own sins of omission and commission.